The Pigging Out section of my web site is now complete. This two year project features 1,000 pictures of me eating my lunch, from April 2003 to April 2005. An archive of old webcam pics, from the first day of my webcam onward. Enjoy! 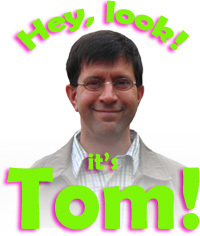 Click here to see special web cam guest appearances by my coworker, Tom!